In 1974, former Beatle John Lennon claimed to have seen a UFO in New York City. 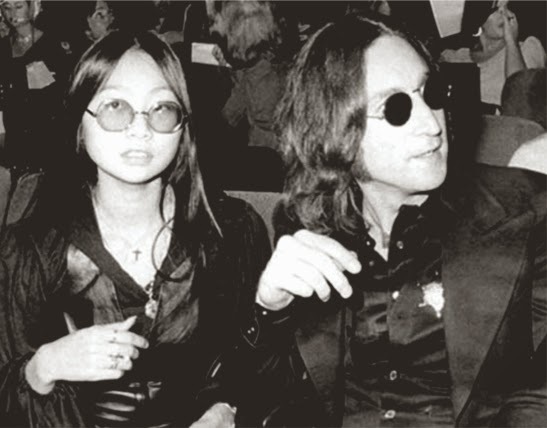 He was living in an apartment in Manhattan with girlfriend May Pang when he saw the flying saucer. 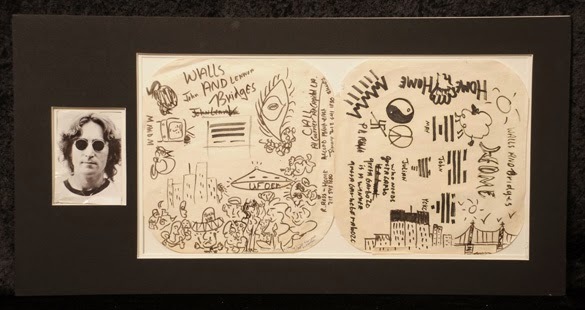 Drawing by John Lennon of “Walls and Bridges”- Lennon also drew a picture of a UFO, most likely inspired by his sighting, when sketching out ideas for the cover of his “Walls and Bridges” album. 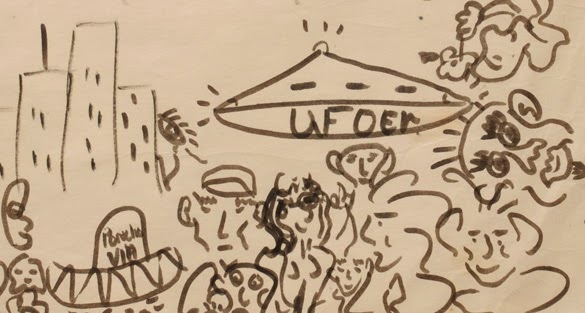 The flying saucer appears in a New York City-type scene with the initials “UFOER” on it. The drawing was done on both sides of a blank record sleeve. When she did, she saw what he saw. According to her description later, it was a “large, circular object coming towards us. It was shaped like a flattened cone and on top was a large, brilliant red light, not pulsating as on any of the aircraft we’d see heading for a landing at Newark Airport. When it came a little closer, we could make out a row or circle of white lights that ran around the entire rim of the craft — these were also flashing on and off. There were so many of these lights that it was dazzling to the mind. It was, I estimate, about the size of a Lear jet and it was so close that if we had something to throw at it, we probably would have hit it quite easily.” The sighting lasted from five to ten minutes, and the UFO drifted away and came back before sprinting off into the sky. Apparently, Lennon and Pang weren’t the only ones to see the UFO, multiple other witnesses (at least seven) had called city newspapers. You can read more details in this article by Larry Warren, link at bottom. And you can hear Lennon himself describe it in this radio interview,video at bottom of story. In the standards of 1974, John Lennon was not a “good” witness. 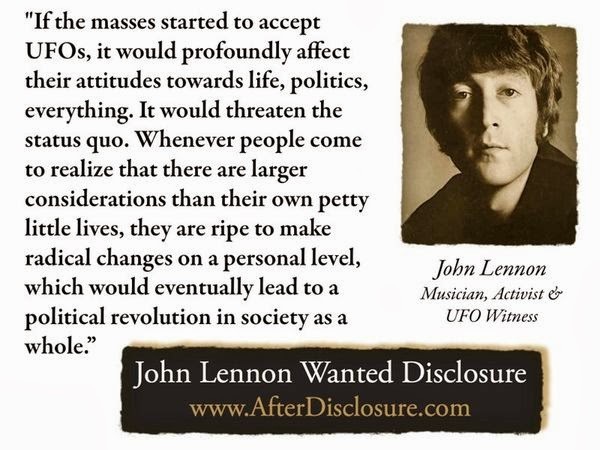 But Lennon was never shy about speaking his mind, even about UFOs. His courage makes it easier for other witnesses even today. 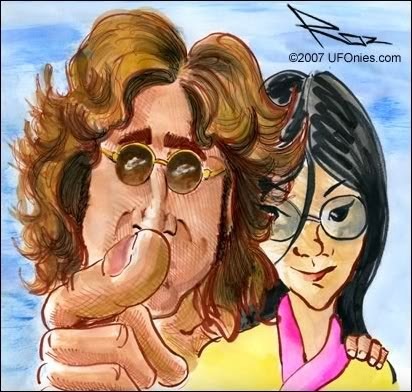 Bottom line: John Lennon and May Pang claimed to have seen something approximating a “classic” UFO, hovering outside their apartment in New York, something that was the size of a private jet aircraft, from only a hundred yards away, so close they felt they could almost touch it. Given Lennon’s reputation for brutal honesty, one has think that some fans who did not give much credence to UFO sightings have had to stop and re-consider their positions. You can bet that if John Lennon actually just celebrated his 70th birthday, he would have had a lot more to say on this subject over these last three decades. Just gimme some truth, he’d have demanded. Imagine. The rare drawings were auctioned off along with several other John Lennon sketches from the 1970s last Friday, March 21 by CooperOwen Auctions in London. The drawings were given to guitarist Jesse Ed Davis from Lennon. Davis was a session musician who played lead guitar on Lennon’s albums “Walls and Bridges” and “Rock and Roll”. Other drawings by Lennon uctioned included scenery in Japan from 1979 and a sketch of Lennon, Pang and Harry Nilsson in Palm Springs in 1974. May couldn’t believe her eyes. She described what she saw as “a saucer shaped object surrounded by blinking white lights gliding through the sky”, she was “astonished”. It was difficult for her to believe what she was actually seeing, yet still, she was convinced she was witnessing a UFO! She then began to laugh. John questioned her laughter, and because they were both naked, she humorously replied, “Suppose it’s looking at us. Maybe they think that everyone who lives on the East Side wanders around naked on their balconies on Friday evenings. We look like Adam and Eve.” They went back inside to get a telescope to further study the UFO. 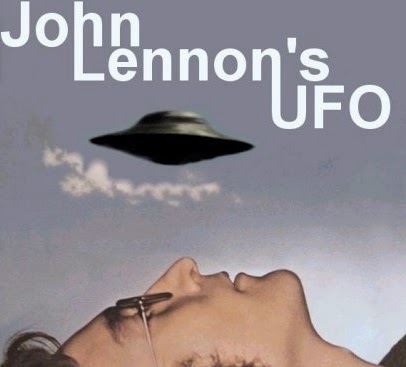 Lennon also mentions UFO encounters on two of his albums. John Lennon witnessed a UFO close encounter outside his apartment in New York. This is a radio interview where he describes his experience. He also had direct contact with an intelligent species after this encounter that gave him an unusual metal egg. He apparently passed the egg on to his good friend Uri Geller.